Does anyone know when this will be for sale? I shouldn't think it'll be for a while. The P series has only just been recorded. I don't think they've issued any DVDs beyond the early ones, have they? Or maybe I just don't hear about them here on the wrong side of the Atlantic. They released 4 box sets late last year; A to D, E to G, H to J and K to M.
Ah I hadn't heard about that. Thanks Bondee. It's easier to buy the 3 XL series in one hit - tho I loathe those doubling up dvds 'pages' to pack in. It is not necessary and a giant PIA and frankly a thoughtless and disrespectful way to shove them at people who support the show. Five series of "Ripper St" in one pack. Yeah, like it's a surprise that I have that! I dont mind the individual 'pages' carrying one or two dvds per side. So if you want dvd 3 or 4 you have to pull off 2 or 3 dvds to get access. Tho I do think that looks like it might be likely to have the hinges breaking off fairly early in its life, if at my place. 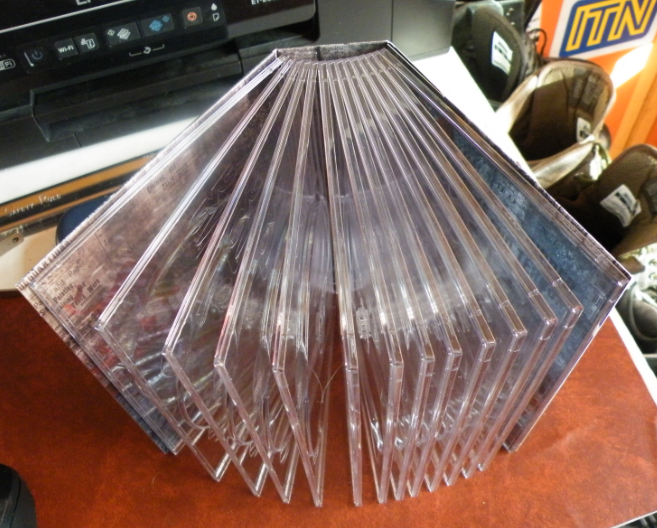 If its not multiple dvd in a dvd case, it's much easier to replace the cases if damaged AND they seem to be sturdier.